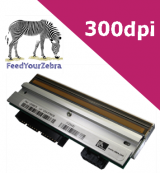 Zebra 110XiII and 110XiIII replacement printheads - our genuine Zebra 110XiIII replacement printheads deliver quality, reliability and performance. The Zebra 110XiIII printhead is easy to install and made to exacting engineering standards for continued reliability and performance from your printer. Genuine Zebra replacement printheads for Zebra 110XiII and Zebra 110XiiII 203dpi, 300dpi and 600dpi industrial printers. This genuine Zebra 110XiIII replacement printhead from FeedYourZebra delivers quality, reliability and performance. The printhead is a vital component of your 110XiIII printer that creates the image on the face of the media. The Zebra 110XiIII printhead is easy to install, and made to exacting engineering standards for continued reliability and performance from your printer.